Life jacket is the preferred term used when talking to the public regarding wearable PFDs. Do not use the terms life vests, safety devices, buoyancy aids, or Personal Flotation Devices (PFDs). A throwable PFD should be referred to by its design such as a ring buoy or buoyant cushion. The U.S. Coast Guard uses the term life jacket to refer to wearable PFDs in media and other public outreach materials. However, the Coast Guard prefers to use the term PFD in regulatory and standards language because it appropriately captures both wearable devices (i.e., life jackets, buoyancy aids) and throwable devices (i.e., ring buoys, buoyant cushions). Personal flotation device or PFD: a device that is approved by the Commandant under 46 CFR part 160. Throwable PFD: a PFD that is intended to be thrown to a person in the water. 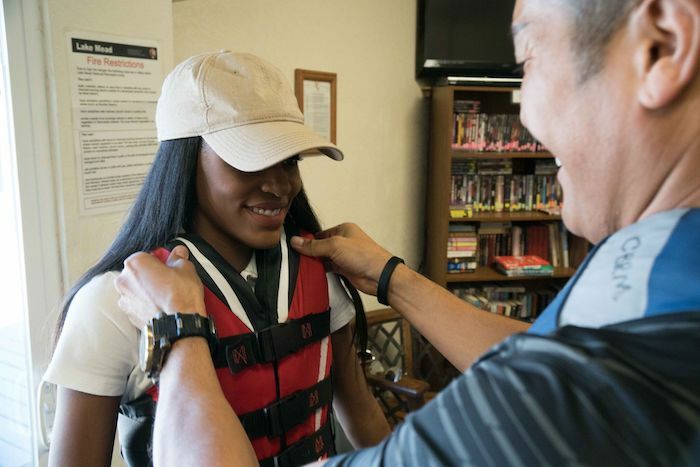 Wearable PFD: a PFD that is intended to be worn or otherwise attached to the body.